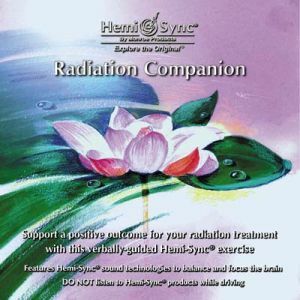 Support a positive outcome for your radiation treatment. Verbal guidance and Hemi-Sync® transport you to a profound state of total relaxation where you are immersed in feelings of inner peace and tranquility. Here, mental imagery and a series of positive affirmations are used in support of your return to physical well-being. You will also learn special encoding cues you may use anytime to reinforce the healing effects of your radiation treatment or help you overcome the possible side effects of nausea. Help in the treatment of cancer.